File Attachments - any widgets to move them out of the database? 1. File Attachments - any widgets to move them out of the database? Ok file attachments seemed like a good idea at first until one of our customers ran with it aggressively for the last 7 years. The GP database is now about 60GB in Size, only 1.5 GB relates to GP ERP data, and the other 58GB is just file attachments (stored as blobs in the database). Has anyone else run into this issue, any way to migrate the files externally to a network drive rather than embedded within the database? 2. RE: File Attachments - any widgets to move them out of the database? I am not aware of a solution, but if you don't find anything that will work, I am open to brainstorming to see if one could be built. 1. I developed a basic tool that can extract Doc Attach files ​from GP and save them to disk. So this type of tool could potentially be used to extract doc attachments older than X days. 2. I'm about to start work on an API that will allow eConnect / SmartConnect integrations to import a file to Doc Attach, so I'll be reverse engineering the Doc Attach tables and processes. 3. I don't know that it would be practical to modify the GP Doc Attach window(s) to point to a file share instead of SQL, but maybe it would be possible archive older attachments and replace them with a note or pointer that would direct the user to the location and file name for the attachment? My thought is to preserve the standard GP Doc Attach functionality, but allow customers to archive older files to allow them to save space in the database. Subject: File Attachments - any widgets to move them out of the database? 3. RE: File Attachments - any widgets to move them out of the database? maybe dump the file attachments out locally on the SQL server, via noteindex named folders. move those files to a file share. then insert a Filepath URL link as a text comment in place of each file attachment? 4. RE: File Attachments - any widgets to move them out of the database? Is there any option to move it out to SharePoint somehow? We were very hesitant to start using Document Attach because of this exact scenario. Before Doc Attach existed, we used some simple VBA and a small scanning program to scan the documents right into a SharePoint document library based on the transaction, customer record, etc. These could be linked to workflows too. 5. RE: File Attachments - any widgets to move them out of the database? If you can get the attachment files out of GP and into a directory structure, our solution for attachments has been to create an Extender form that includes the ability to assign that directory link to the record and allow the user to access it. In our case, the HR department accesses these records off the Employee Card, but I would think you could create this type of solution for just about any card/record you're looking to track document history for. 6. RE: File Attachments - any widgets to move them out of the database? I think no matter how you try to challenge the current way of Doc Attachment in GP (since OLE Notes are gone, which used to store files on Disk level, but was prone to errors and corruption)​, the actual solution wasn't probably meant to be a paperless solution and store everything within GP.. As you found out, when 90% of the SQL DB size is used up by blob binary objects, than something is wrong here..
2. GP's doc attachment has no option of storing the files outside of the GP company DB.. other than @Mark LeRette's suggestion of using an extender field with an external URL/UNC storage reference, I can only see the use of 3rd party solutions like KwikTag or the like, that would store effectively all the scanned / attached documents in a separate database or location (and optimize the search of the documents, since (again) GP wasn't meant for that either). Microsoft tried to get around all the issues related to OLE Notes, but I think the solution wasn't that well thought out, at least not with such a volume in mind. 7. RE: File Attachments - any widgets to move them out of the database? I like that approach.. Scanner software like the one provided by Epson for its ES- line of product can do that automatically too (saving to SharePoint, or any external cloud storage solution), but lacks the ability (probably) to decide where to store based on some other criteria. ​Epson scanner are TWAIN & WIA compatible and they are very cost effective for small businesses. Would you mind to share how you handle the destination based on the document source (or customer) ? 8. RE: File Attachments - any widgets to move them out of the database? ​So, it is pretty simple. Depending on the type of transaction in GP, it uses the unique ID of the record or transaction to create a folder in a SharePoint document library. It follows how D365 uses SharePoint as the document management -- there is a document library based on the entity and then a folder based on each record. I followed the same principle with GP. Right now we have it set up for RM, PM, GL, Fixed Assets, RMAs, RTVs. Eample: payables transactions. There is a document library out on SharePoint called "PM." When the user clicks a button on the screen called "Attachments", it opens a program we found online called ScantoPDF which lets us use command line switches to open the program, use the Epson drivers to scan the document (one or two sided), get the voucher number from the screen, create a folder of that voucher number and scan the document(s) into that folder. We use the approvals workflows in GP too. When the user gets the email with the transaction details, there is a link to that folder for the transaction in the SharePoint document library to view the attachments. We've been using this since GP 2010 (I think). 9. RE: File Attachments - any widgets to move them out of the database? 10. RE: File Attachments - any widgets to move them out of the database? 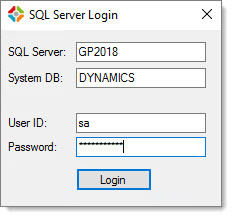 While only a partial solution for @Zubin Gidwani's request, I have updated my Save Doc Attach Files solution to add a SQL login dialog and a configuration file that allows you to add additional record types. If anyone has the need to archive older attachments, I could look into adding a date filter and include the ability to remove the attachments from SQL to save space. 11. RE: File Attachments - any widgets to move them out of the database? Have you examined using Stretch Database in SQL? I feel like that might be an option here. https://docs.microsoft.com/en-us/sql/sql-server/stretch-database/enable-stretch-database-for-a-table?view=sql-server-2017 58GB feels like it would be a ton of work to export and store on a file share, and then have to deal with the security of the network shares. 12. RE: File Attachments - any widgets to move them out of the database? And one other thought I had was, if you are able to get the documents out it's worth noting that the database would still be 60gb in space. So a shrink operation would be needed and that might produce some really gnarly results ​with fragmentation. Here is a post by Brent Ozar that outlines it. The only way around this that I can think of would be to use SSIS to export all the data into a new fresh database. 13. RE: File Attachments - any widgets to move them out of the database? To me that "Stretch"​​ feature seems to be available on Azure only.. not on premise SQL, and it would probably only apply on very recent releases. Possibly not an option for an existing on-premise older SQL version. I agree that extracting all the documents from the blob storage is only the 1st part of the job.. Finding a solution to provide secure and controlled access is whole more work, unless it's something that can be linked to GP.